“I will retire with my grandchildren and great-grandchildren when I turn 90 in a Caracas neighborhood, in the Ávila mountain or on a beach in Cata,” responded Maduro. Bolton is currently leading the Trump administration’s efforts to remove Maduro from power and replace him with a democratic alternative, namely in the form of opposition leader Juan Guaidó, recently sworn in by the Venezuelan National Assembly as the country’s legitimate president. Maduro added that he would need at least another ten years to achieve his vision of a fully socialist Venezuela. During his six years in power, Maduro has succeeded in bring the country to the worst economic and humanitarian crisis in its history. “I believe that Venezuela is going to need at least ten more years in the propping up of a solid productive apparatus, from the sustainable technological point of view, and that it generates enough diversity in national wealth so as not to depend on one single product: oil,” he said. 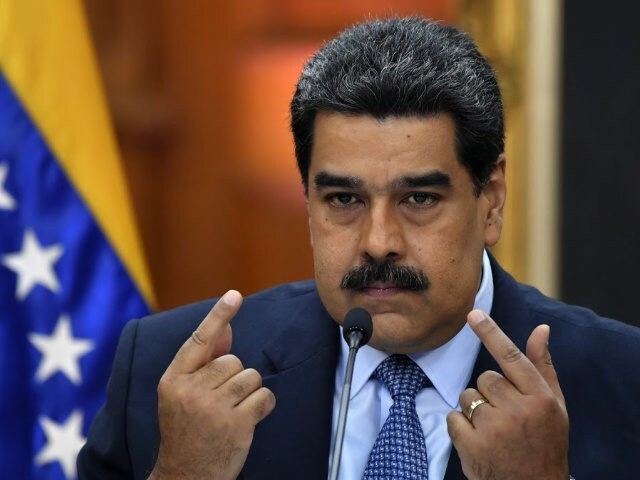 Maduro has lost the support of the majority of Venezuelans, who have rallied around Guaidó in hope that he will bring an end to the repression and economic calamity inflicted by Maduro’s socialist regime. Democracies around the world have supported Guaidó’s efforts to remove Maduro from office. The U.S. most recently imposed sanctions designed to further the country’s state-run oil industry, a vital source of revenue for the regime. Maduro still retains the crucial backing of the country’s military as well as authoritarian regimes including Russia, Iran, Syria, and North Korea and has refused to exit the presidential palace.